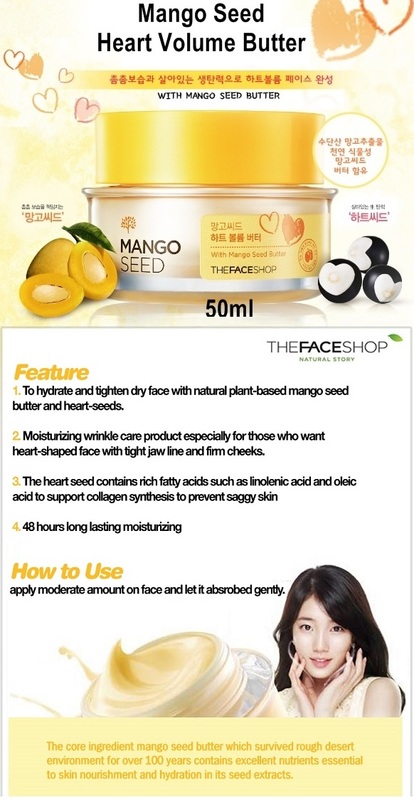 Your dry skin surely needs a deep nourishment, use the Mango Seed Heart Volume Butter from The Face Shop. This cream provides rich moisture and hydration to the skin to prevent dryness and flaking. It is a Korean skincare product that is enriched with Adenosine, Mango Seed and Heart Seed that enables the skin to have a more whiter complexion and also to repair skin damages, leaving the skin with a soft and smooth texture. Apply an appropriate amount to your face, and tap gently for better absorption. This Korean Skincare product can give you a beautiful, lively and attractive skin. It can prevent sk.. Description: This Korean mango Seed Cleansing Tissue purifies the skin from dirt and other impuri.. Description: This Korean skincare is a cleanser that turns into foam to gently get rid of impurit..